1. 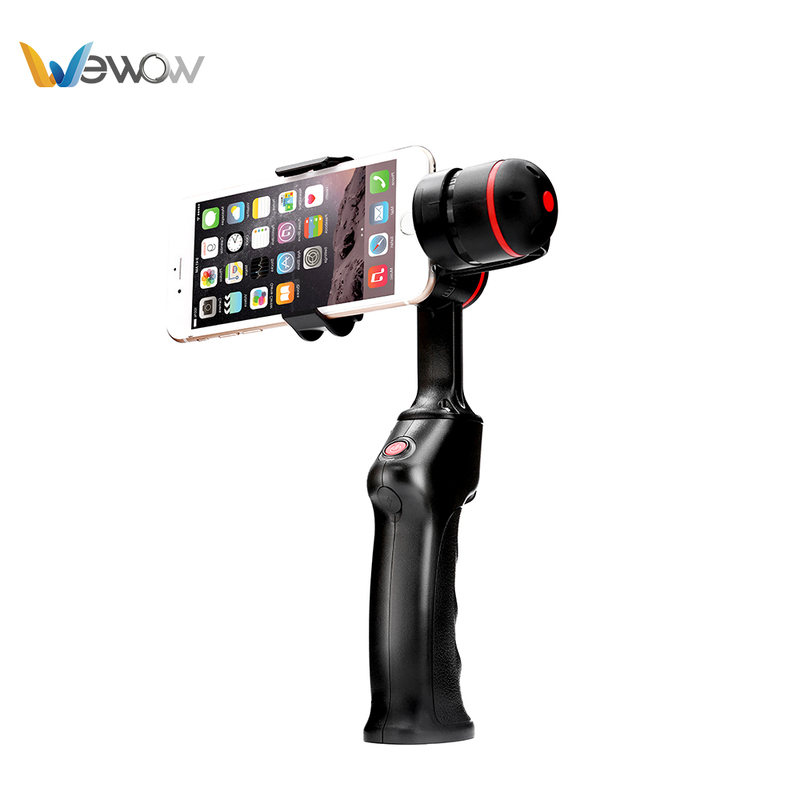 Horizontal roll-axis remain stabilized while handle can be freely rotated in 360 degree. 2. 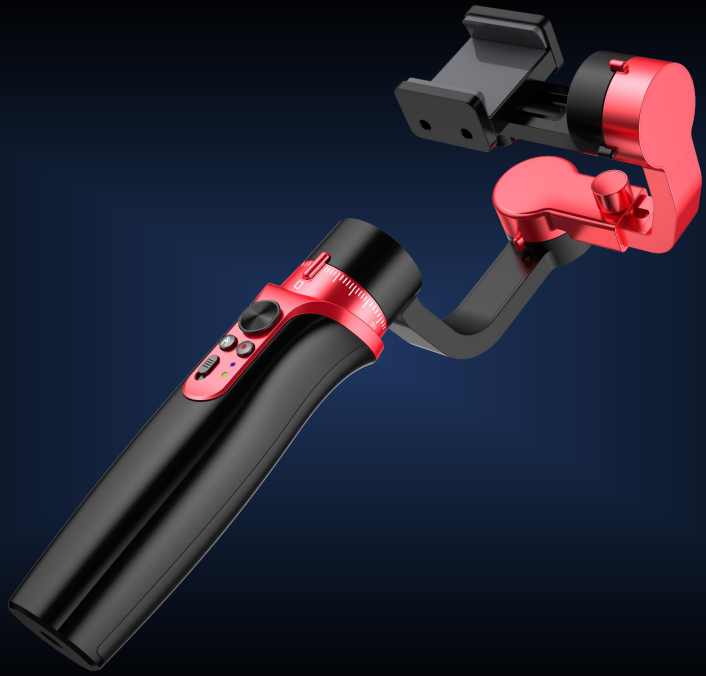 Horizontal tilt-axis remain stabilized while handle can be freely rotated in 360 degree. 3. 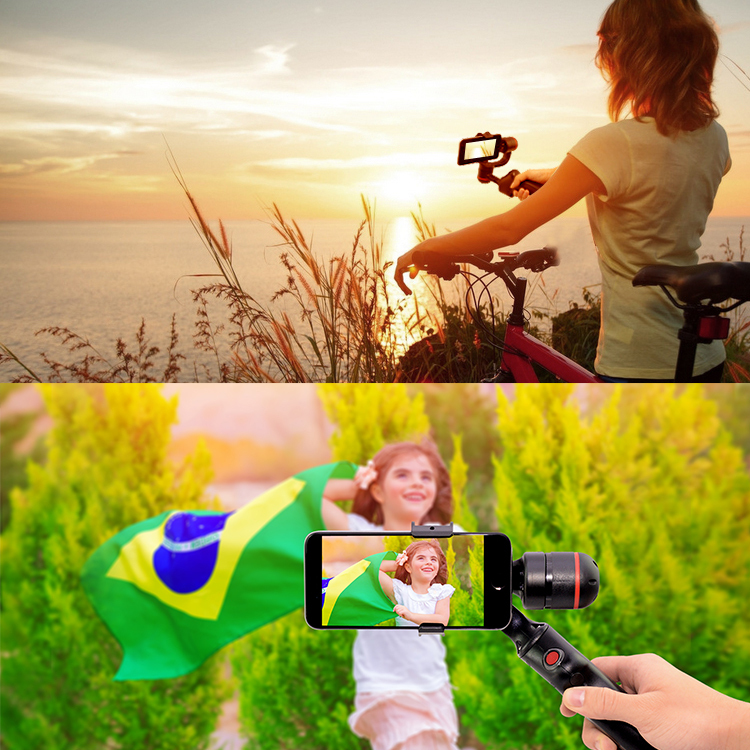 Follow-me mode in portrait operation mode( smartphone will remain automatically level, while handle can be freely rotated in 360 degree. controls the horizontal leveling will seamlessly change to the pan-axis. This allows the lock on the pan direction, while other axis is still being stabilized. 5. 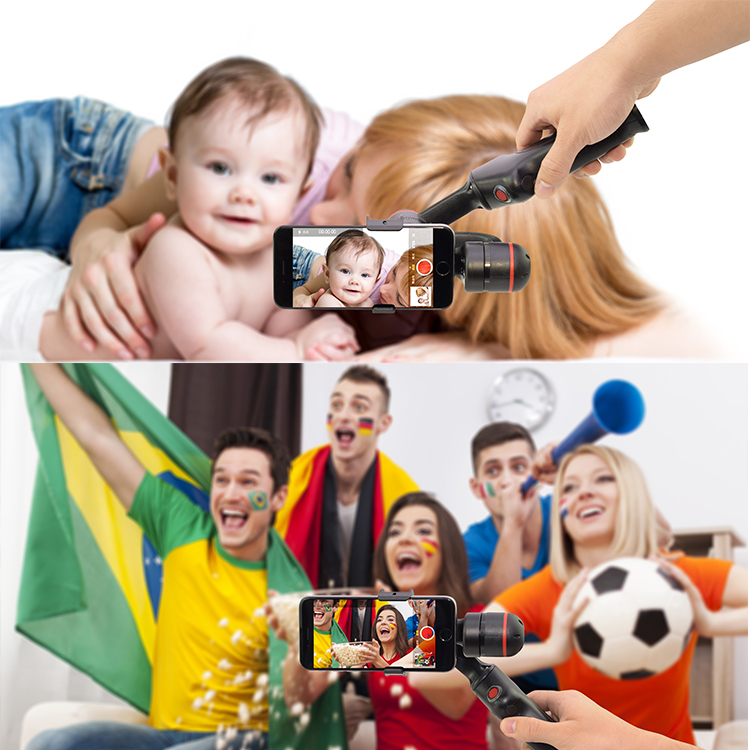 Follow-me Mode( When handle is flipped down as in the follow diagram( roll-axis motor is located below the smartphone), the motor that controls the horizontal leveling will seamlessly change to the pan axis. This allows the lock the pan direction, while other axis is still being stabilized. 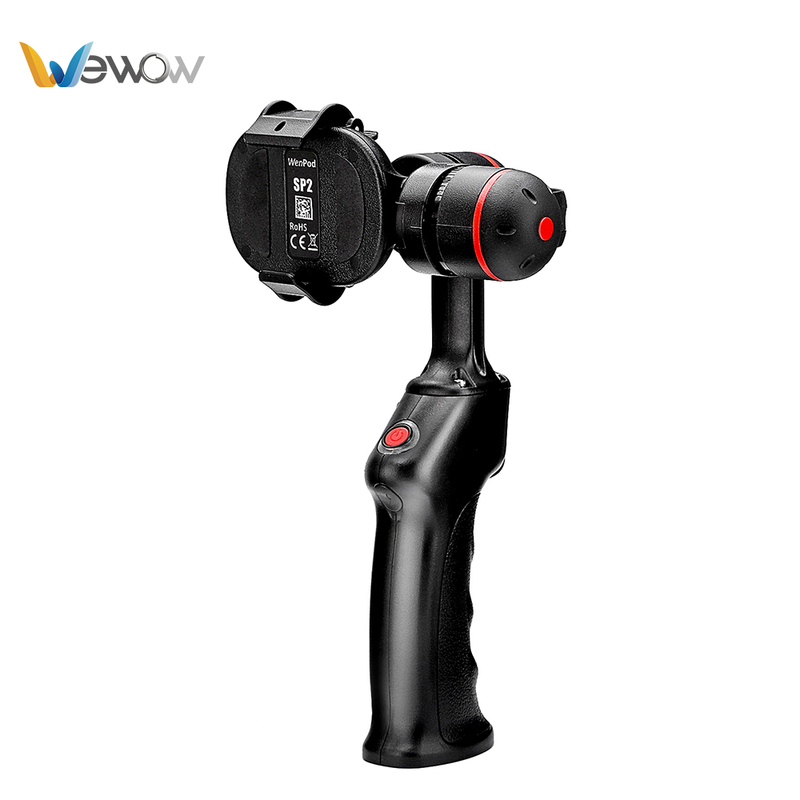 The digital joystick controller allow smooth operation in tilt angle control. 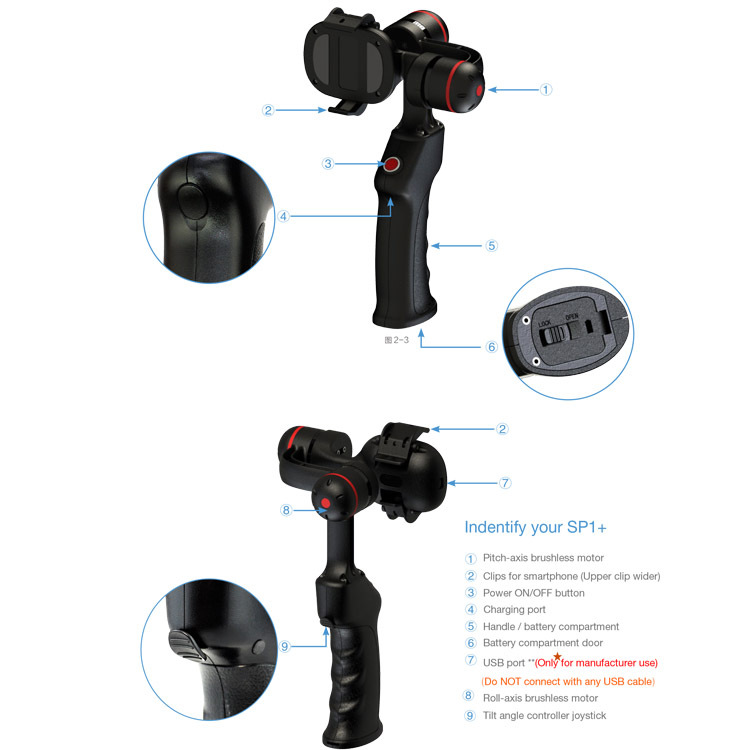 SP Handheld Stabilizer gimbal is the best for your happiness moment, like family time, travelling time,wedding and your romantic moments. 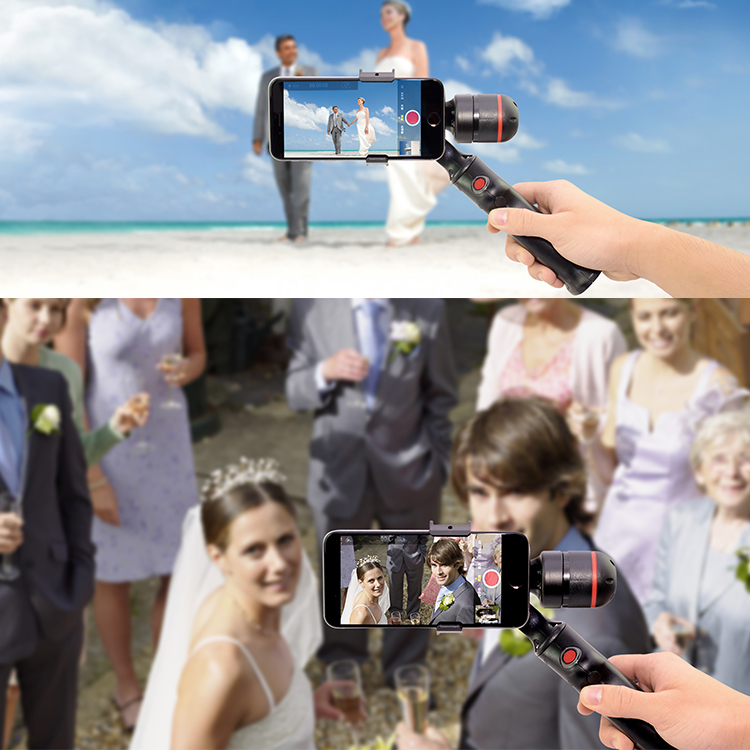 It help you making your video of travelling and wedding more and more stable, bring a surprise and nice memories for you. 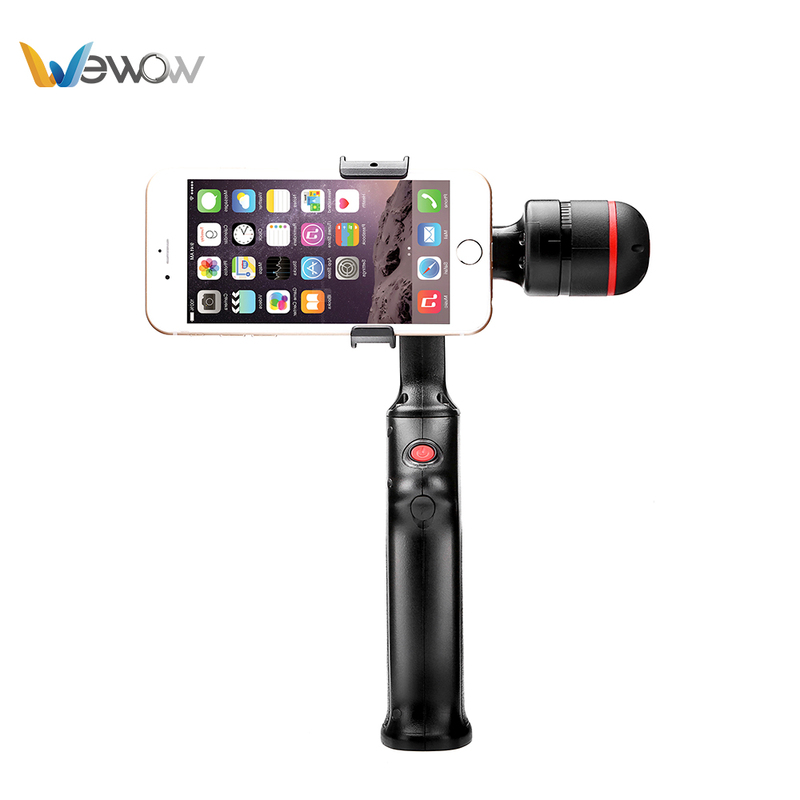 Looking for ideal Handheld 2 Aixs Gimbal Manufacturer & supplier ? We have a wide selection at great prices to help you get creative. 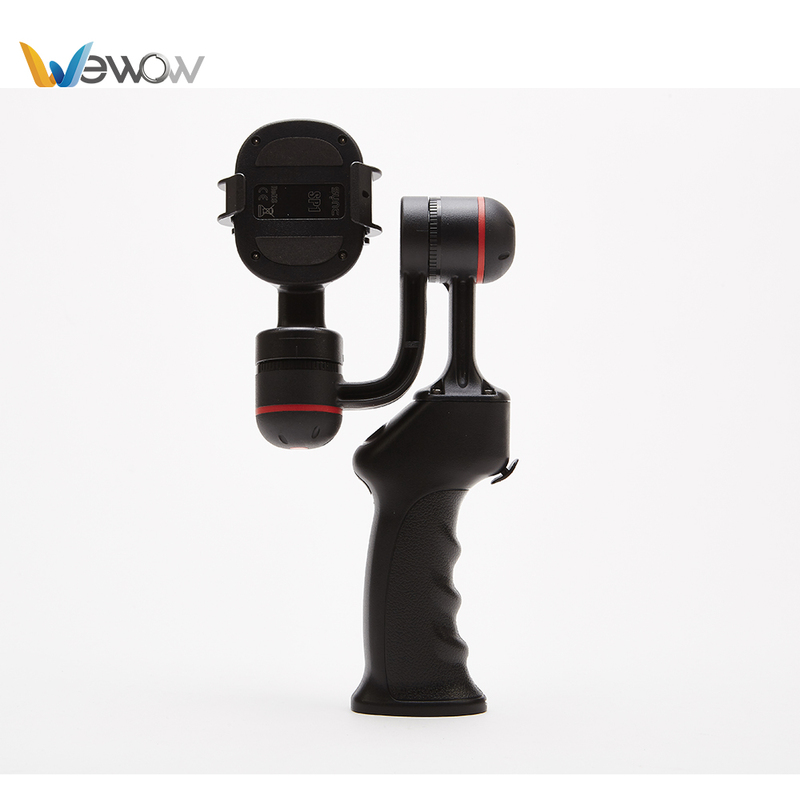 All the 2-axis Stabilizer Gimbal are quality guaranteed. 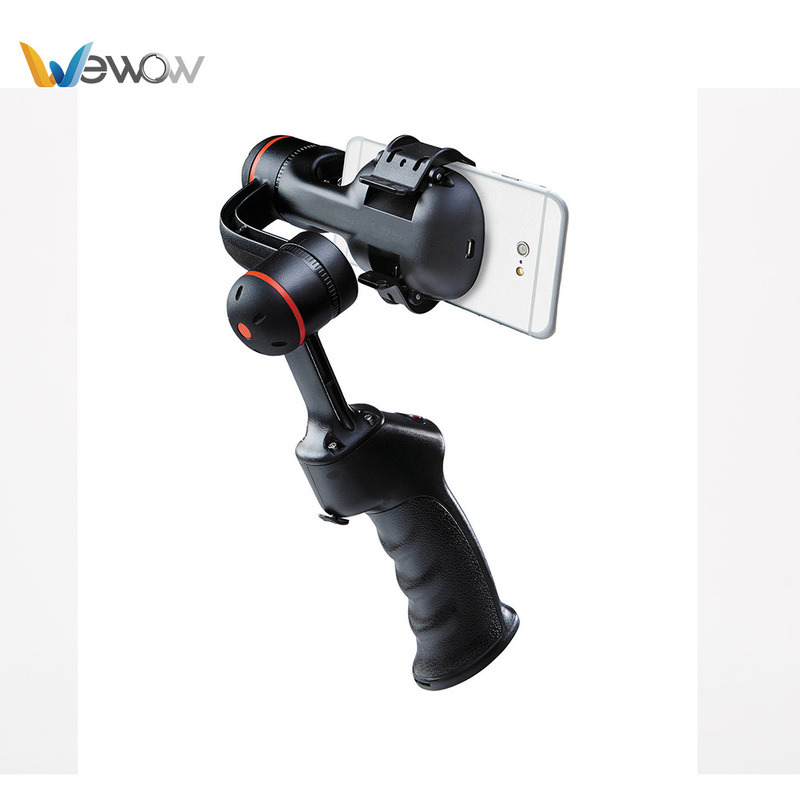 We are China Origin Factory of 2-axis Stabilizer Gimbal for Cell Phone. If you have any question, please feel free to contact us.